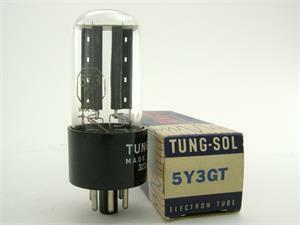 This 1950s Tung-Sol 5Y3GT full-wave rectifier tube has smooth black plates and a bottom D getter. The white print on the base has the Tung-Sol logo. 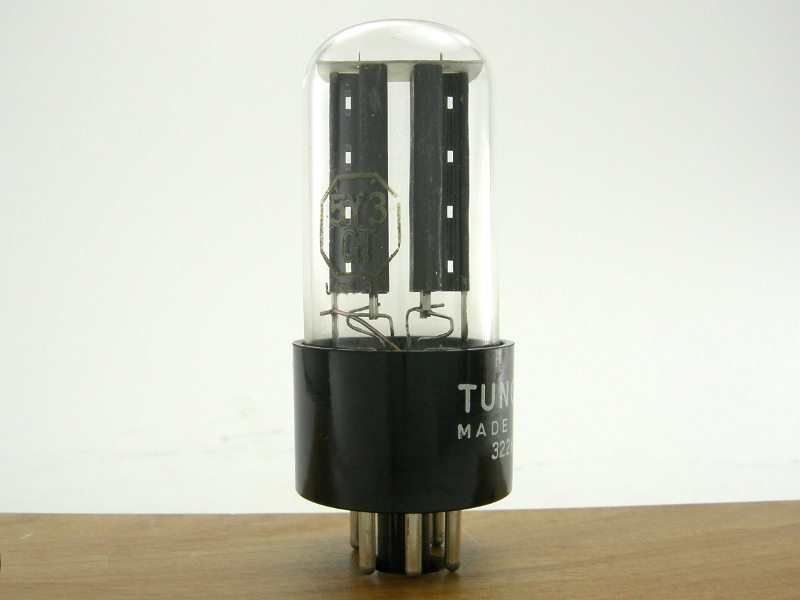 Tube tests as new with balanced diode sections. It ships in its original box.